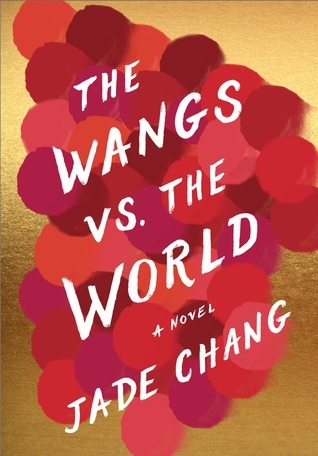 I picked up The Wangs vs. the World with a group of ladies in a book club and was truly excited about it. I heard great things about how funny it was and how the characters make you wish you really knew them in real life. I can't say I wish I was part of the Wang crew, but I do think I would have a good time hanging out with them every once in a while. The Wangs had every material thing you could ask for, but it was all stripped away when Charles, the father, got in over his head with a new product line. The story followed the family as they drove cross country to live with the eldest sister in New York. I loved how the family members all had unique personalities. The youngest girl Grace, is a bratty fashion blogger, the middle child Andrew is a wanna-be stand up comedian, and the oldest daughter Saina is a jaded artist. Many recent reviews seem to have a problem with the fact that the characters aren't super relatable, but I don't think they're supposed to be. How many people can actually say they relate to someone who can afford an outfit that was on a runway model? No one I know. So, the fact that I couldn't relate to the rich life of the Wangs didn't bother me too much. I actually like the little glimpse into the lives of the rich and famous! All in all, I didn't laugh out loud like I was hoping, but I did get a few good giggles in. I typically enjoy a book with a clear cut ending, but I found the open ending of this novel to be refreshing and it allowed me to make my own conclusion. I enjoyed the entirety of The Wangs vs. the World and would definitely recommend it to friends.